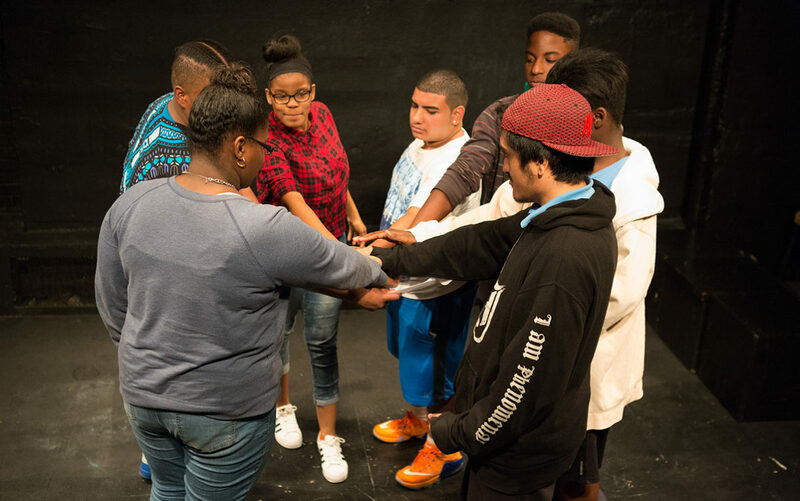 Scene 1 is The New Group’s innovative free theater education program serving NYC public high school students since 2006. 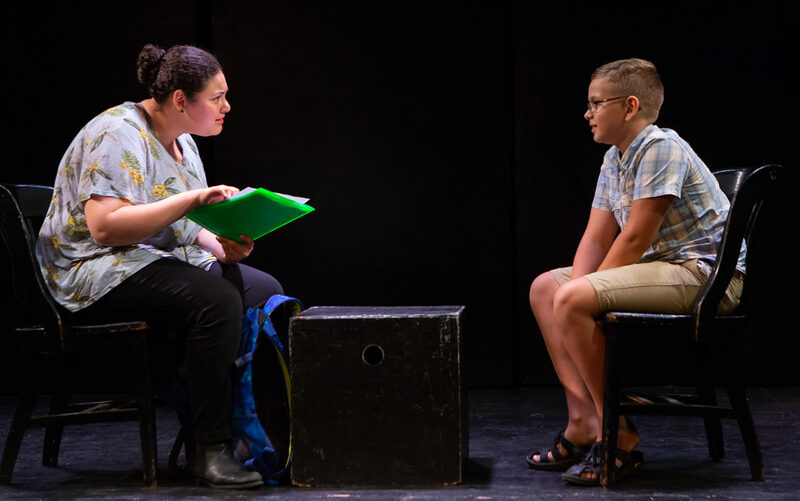 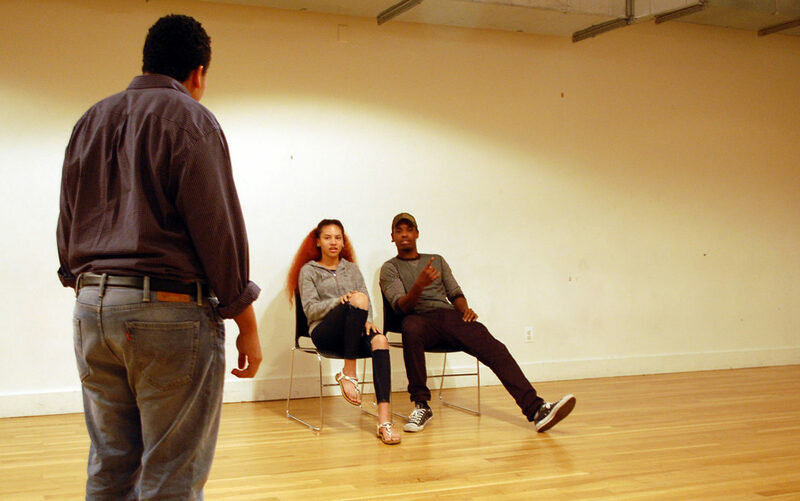 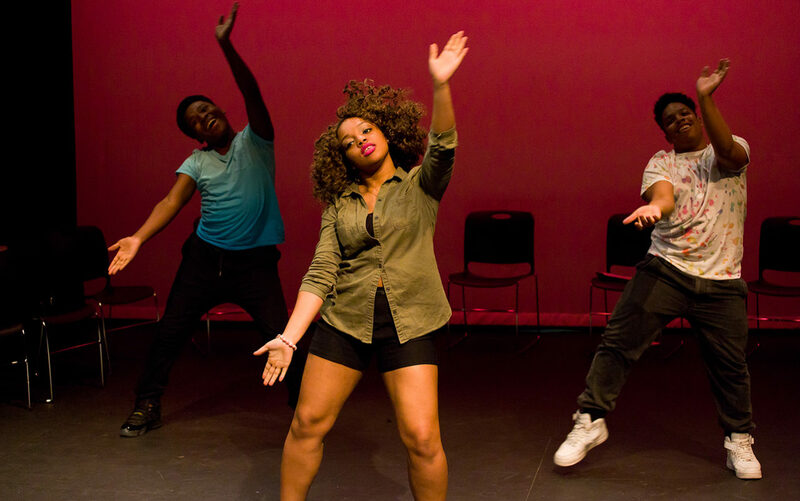 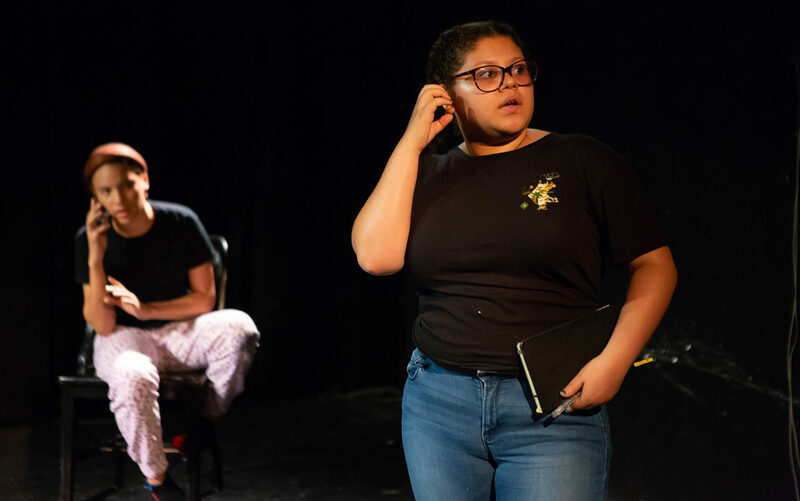 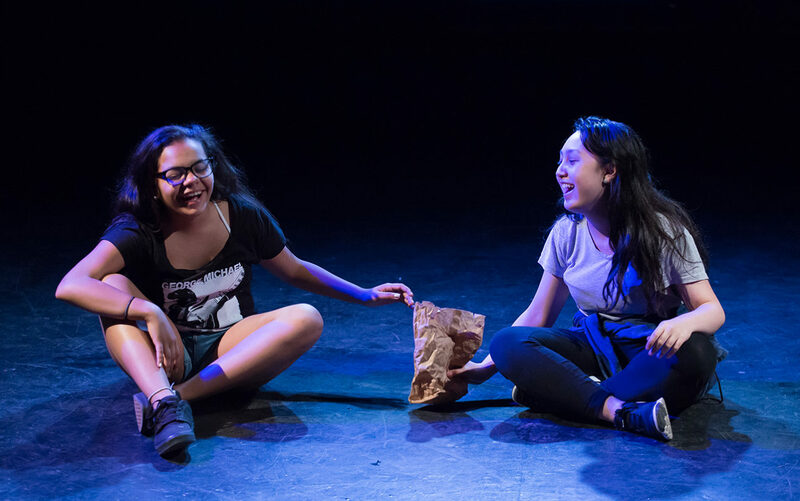 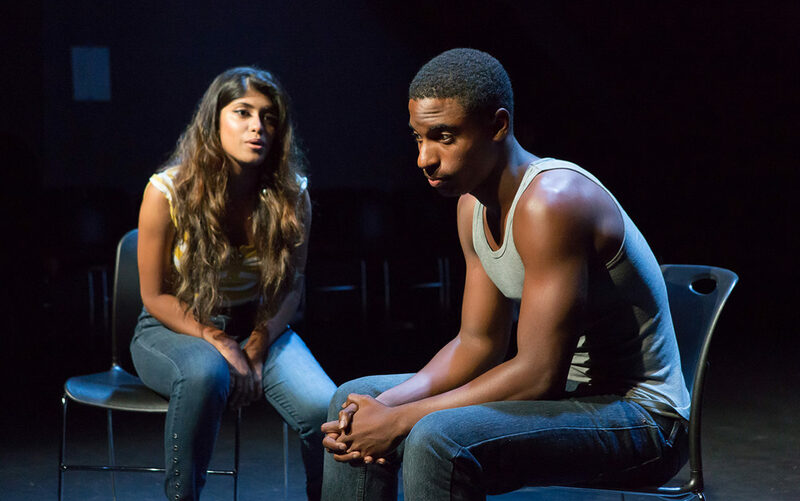 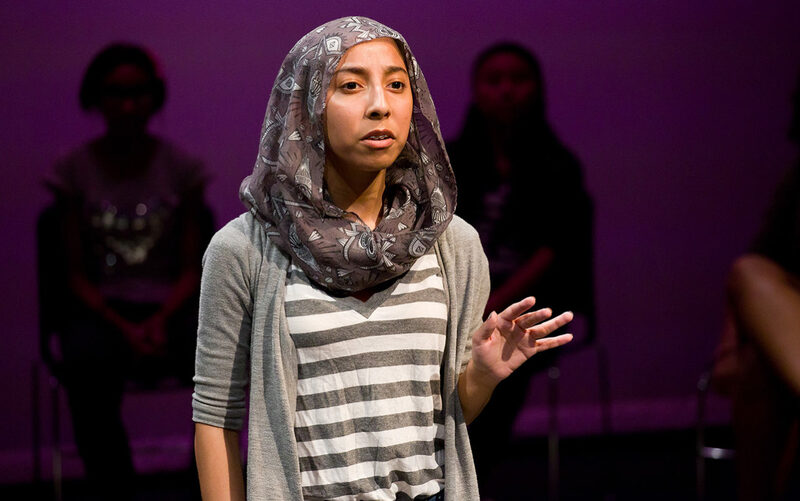 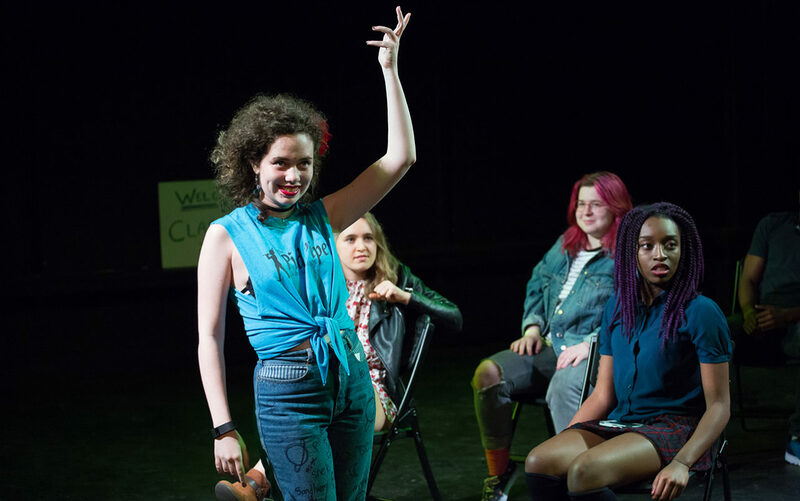 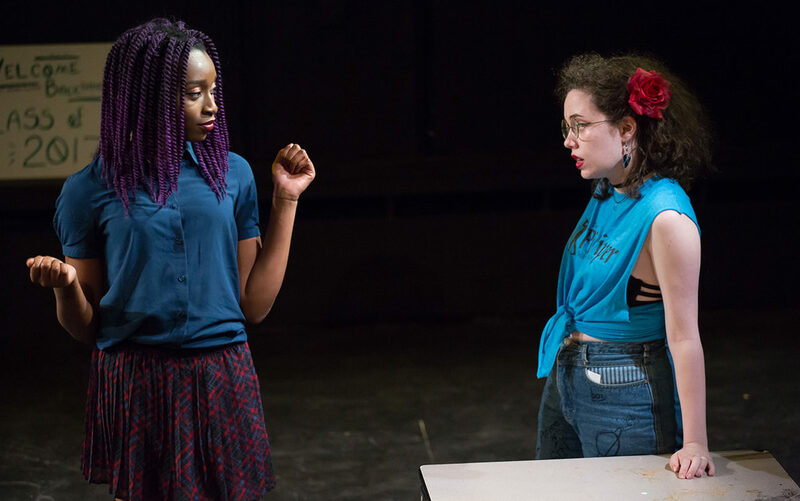 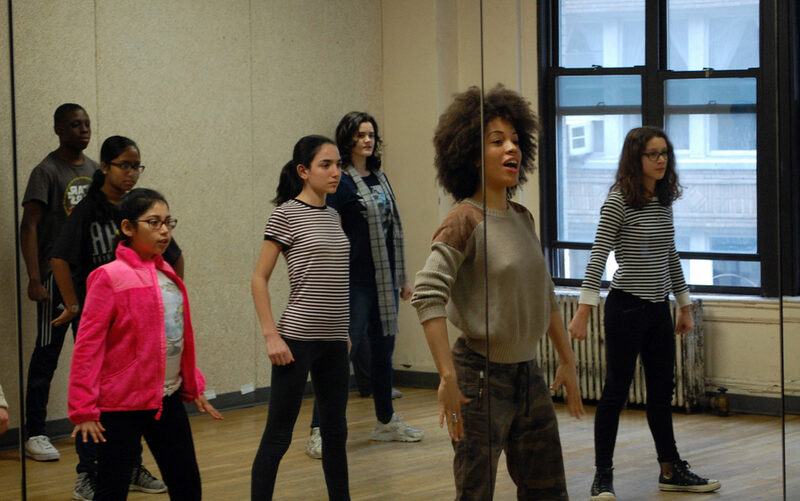 Using a model that prioritizes ensemble building and character development, students learn advanced acting, playwriting and songwriting with seasoned professionals, including Master Classes with New Group artists. 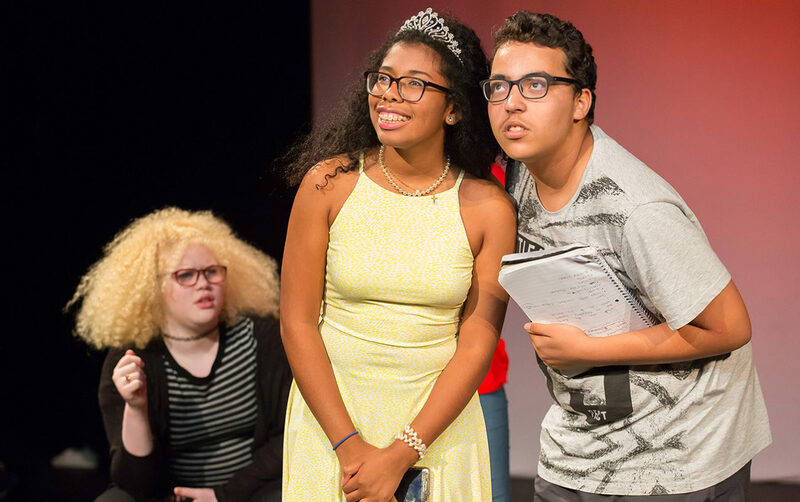 The goals of Scene 1 are to develop students’ voices as emerging artists through the creation of original work that connects to their lives; to provide students with rigorous skills-based courses in acting and writing; and to create an ensemble of young artists who understand what it means to be part of a community, by building a cohesive ensemble of performers. 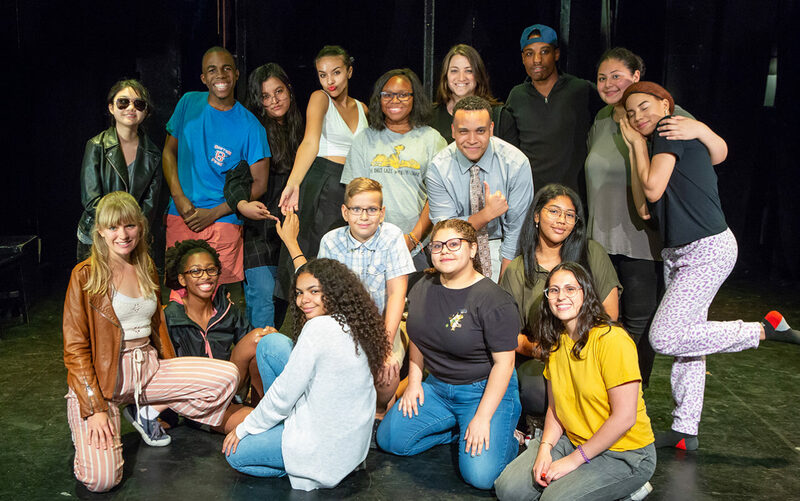 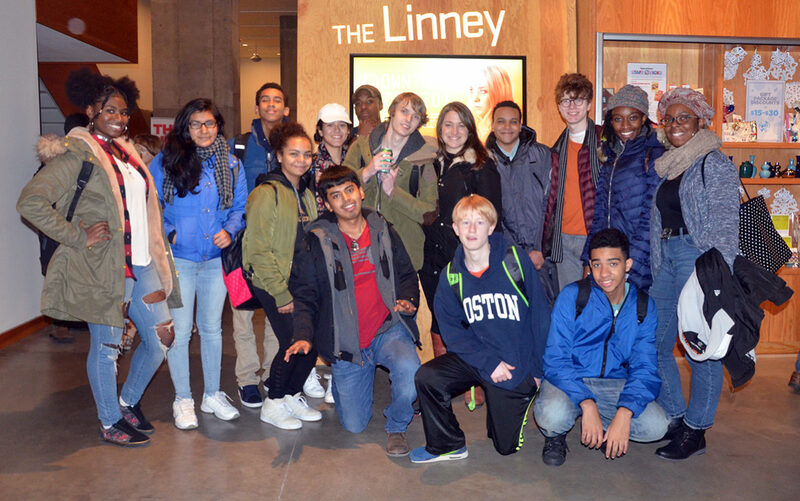 The young people in this program are an integral part of The New Group artistic community, and see our theater as place to learn and be inspired by one another. 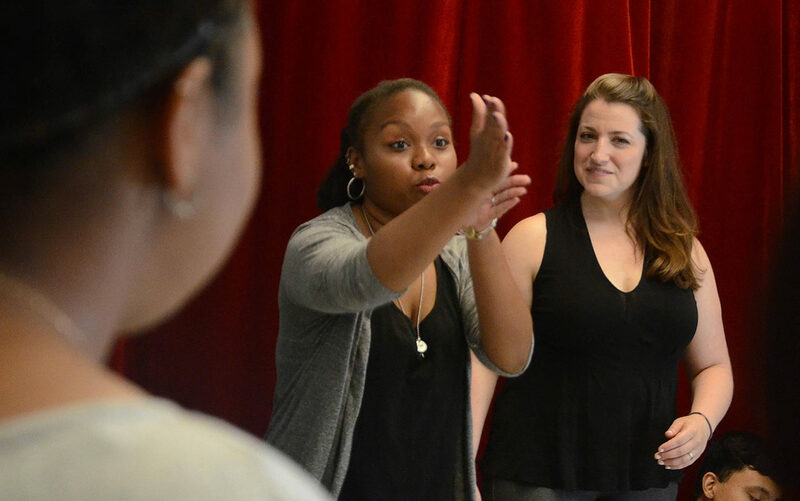 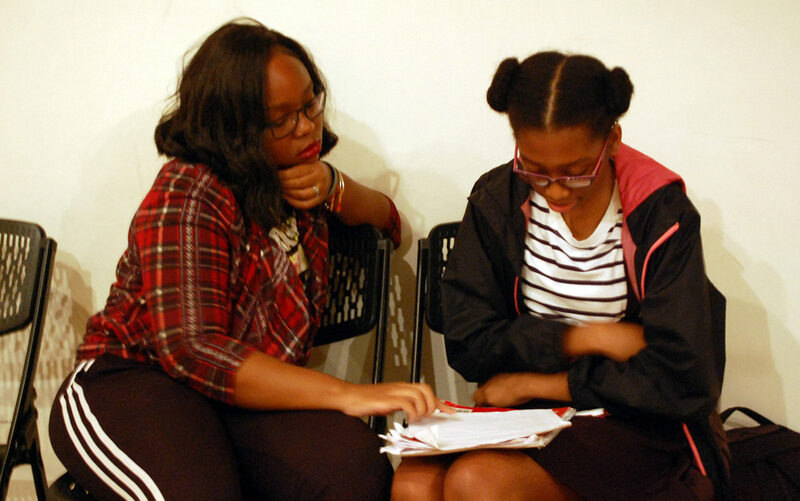 In this three-week intensive, students will gain the skills necessary to create and perform original work. 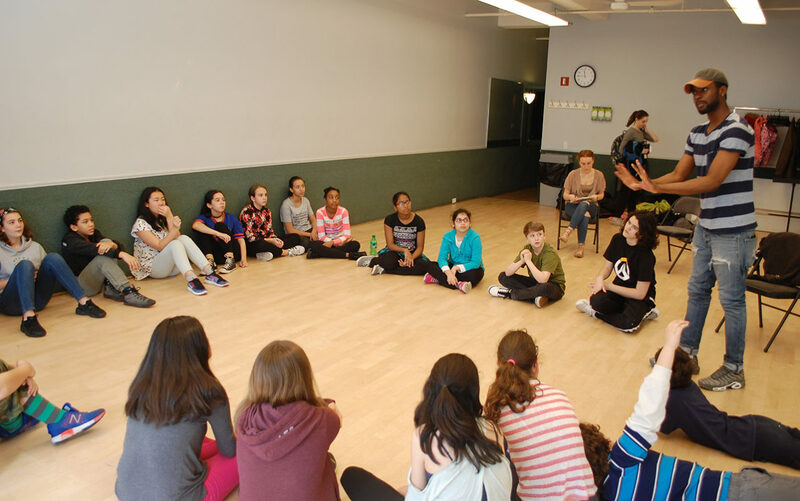 The experience will allow students to express themselves through games, character exercises, improvisation and movement. 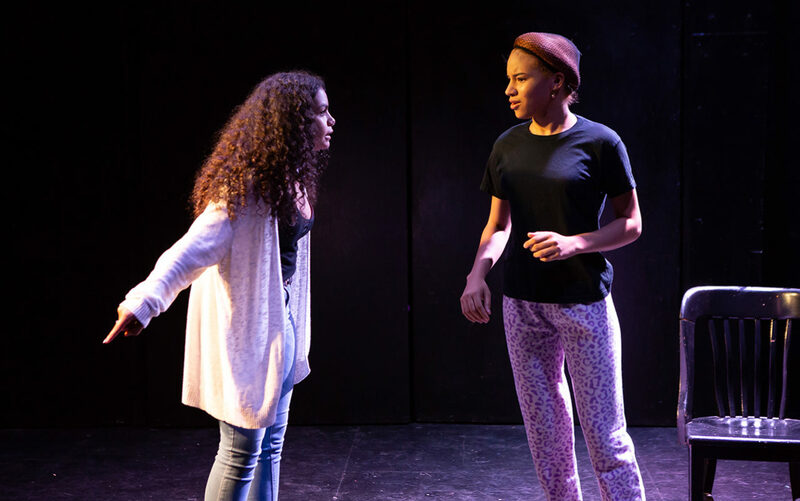 While strengthening acting muscles and working as a team, students will create and rehearse scenes they build from improvisation, culminating in a final performance of the original work by the class. 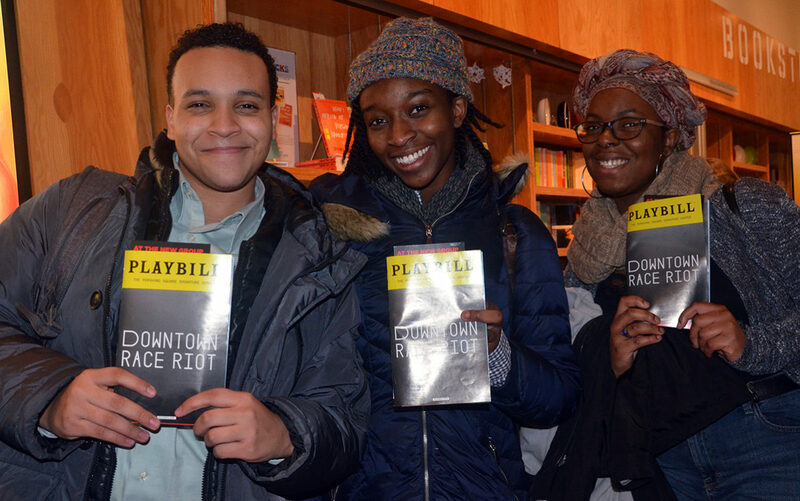 No theater experience required! 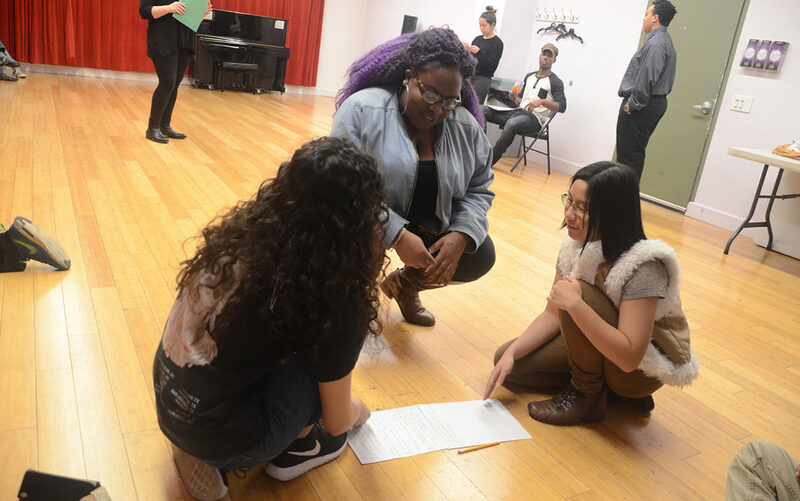 Students also get the opportunity to work with guest artists from The New Group, including playwrights, actors, directors and choreographers. 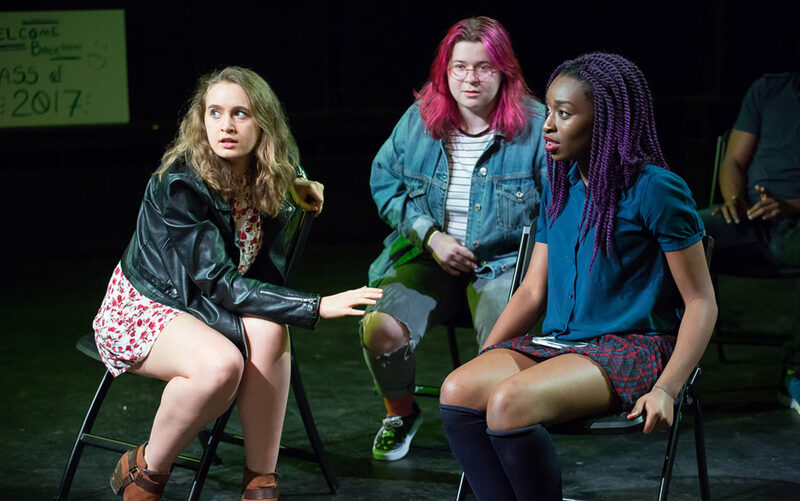 Past guest artists have included Cynthia Nixon, Sasha Hutchings (Hamilton original cast), Kristolyn Lloyd (Dear Evan Hansen), Josh Hamilton (This is Our Youth, The Real Thing, “13 Reasons Why”), Van Hughes (Spring Awakening, American Idiot), Jill Eikenberry and Michael Tucker (“LA Law,” Evening at the Talk House), Patrick Breen (“A Series of Unfortunate Events”), Christopher J. Hanke (How to Succeed in Business Without Really Trying) and Flor de Liz Perez (“The Good Wife”). 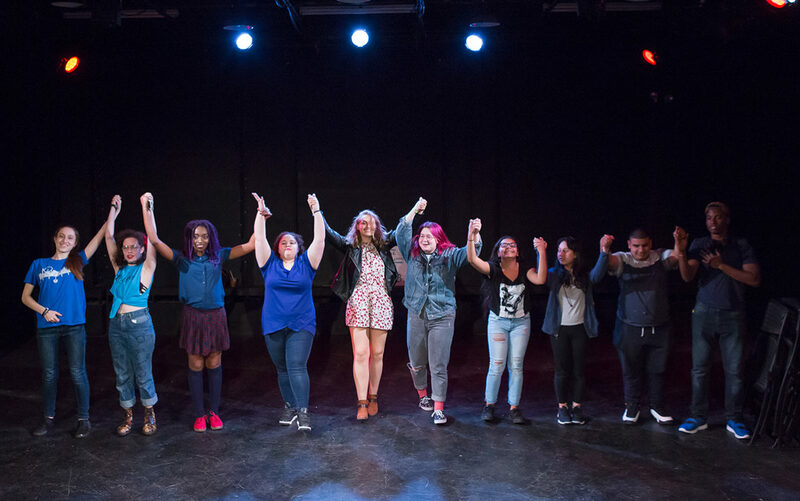 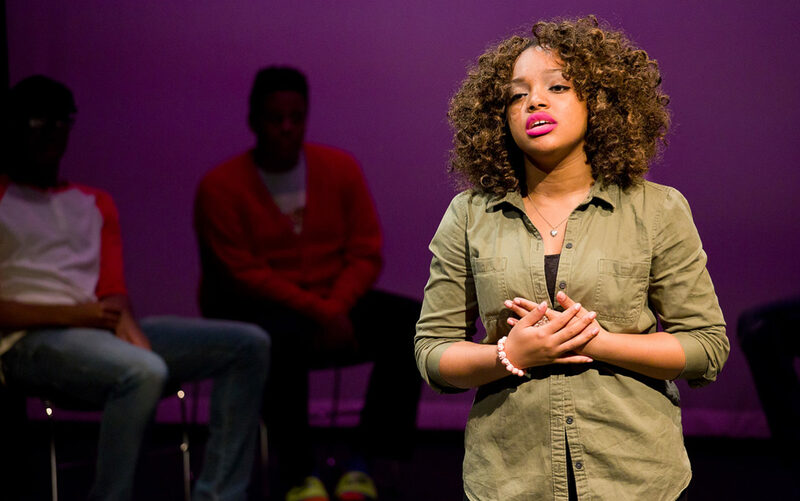 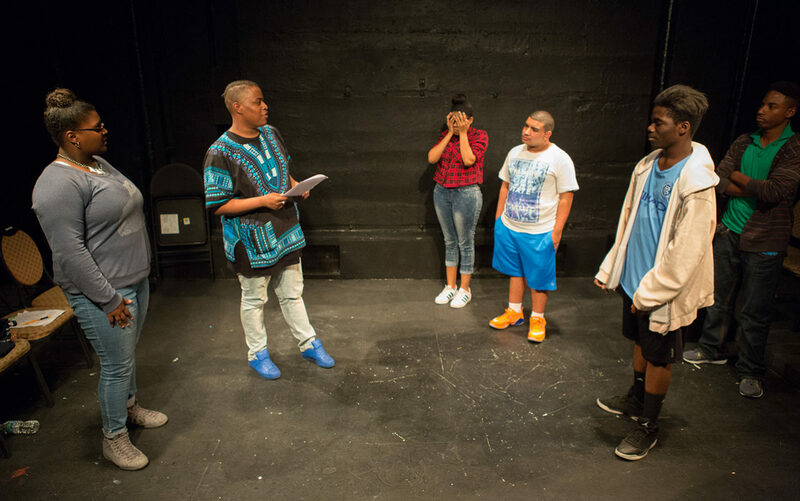 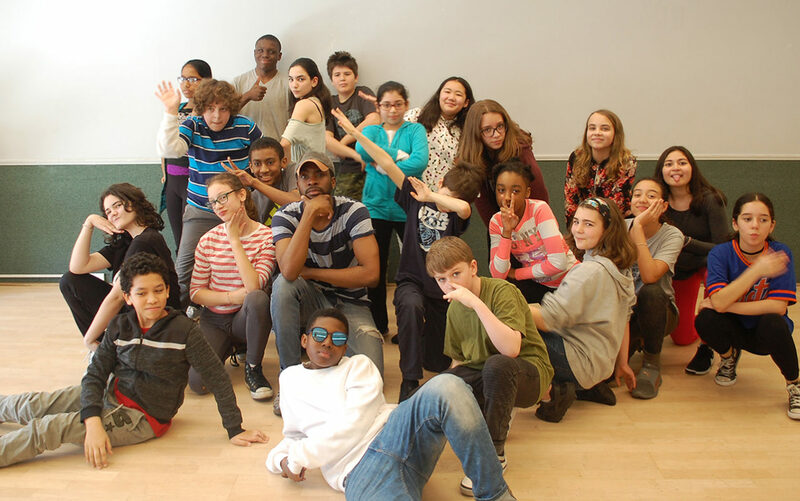 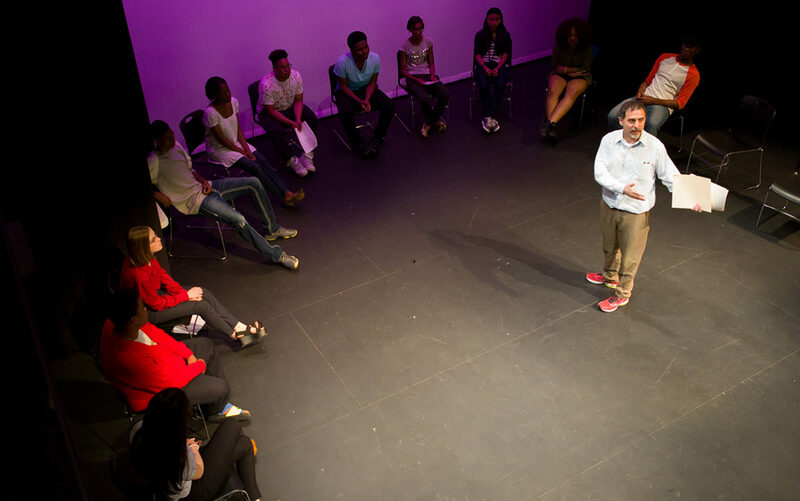 The New Group is proud to offer its theater camp for middle school students in New York City. 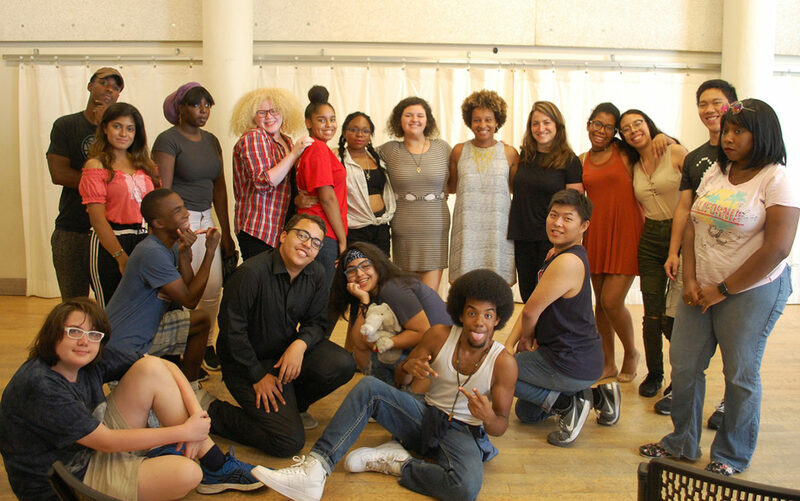 Led by Tony Award-nominated Sheryl Kaller, students will train with current and past actors from The New Group productions and other theater professionals. 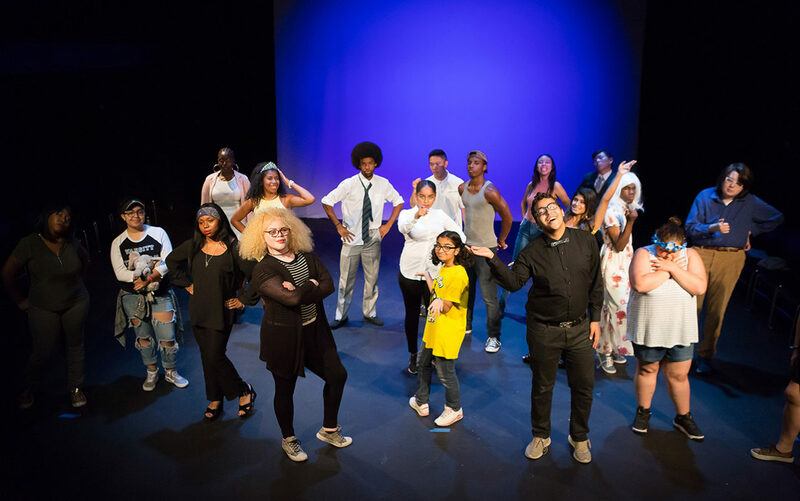 Students will refine their stage craft while participating in a unique ensemble process that will culminate with a final showing for family and friends. 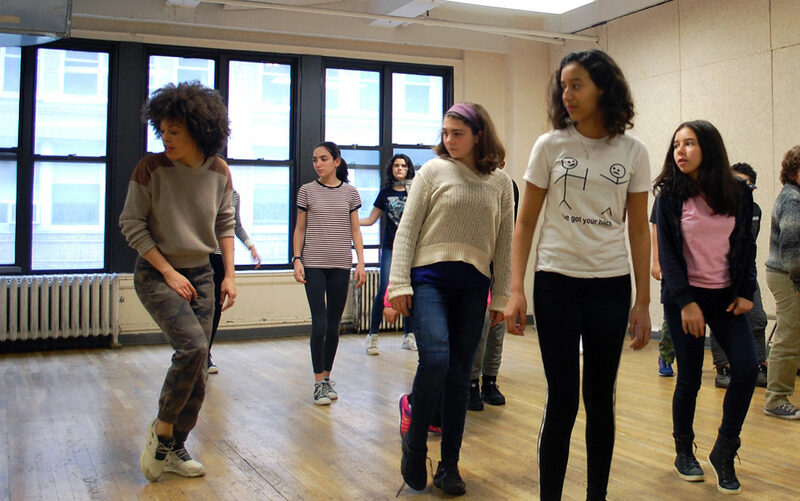 Classes include acting technique, intro to improvisation, voice & movement and scene study. 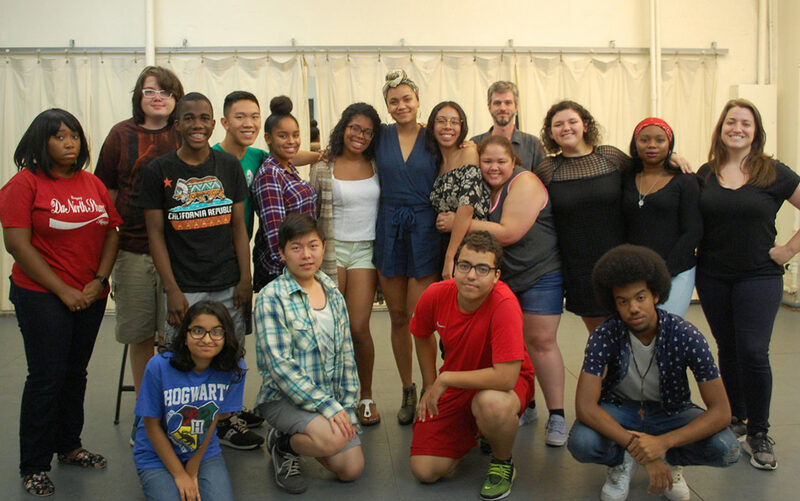 Past guest artists have included Cynthia Nixon, Sasha Hutchings (Hamilton original cast), Kristolyn Lloyd (Dear Evan Hansen), Josh Hamilton (This is Our Youth, The Real Thing, “13 Reasons Why”), Van Hughes (Spring Awakening, American Idiot), Jill Eikenberry and Michael Tucker (“LA Law,” Evening at the Talk House), Patrick Breen (“A Series of Unfortunate Events”), Christopher J. Hanke (How to Succeed in Business Without Really Trying) and Flor de Liz Perez (“The Good Wife”). 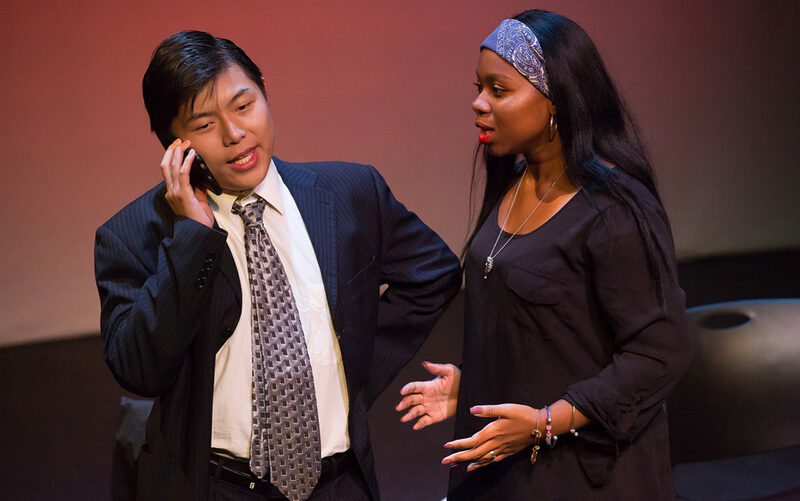 Check back in early 2020 for dates and registration information. 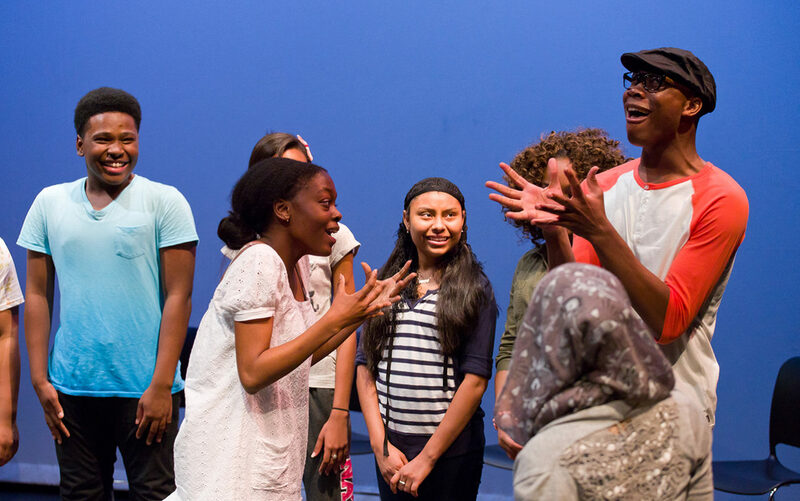 If you have any questions please email education@thenewgroup.org.